When you love yourself, you will be filled with light and happiness wherever you go. Appreciate how special you are. Remind yourself that there is no one exactly like you in this world; no one else has the same combination of skills and talents that you have. Pick one or two affirmations, write them on sticky notes, and stick them around the house. Affirmations refer to phrases you repeat to yourself to rewire your brain and help you love yourself more. 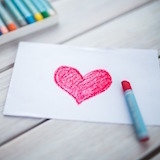 An example of an affirmation is, “I deserve and receive massive amounts of love every moment of every day.” Pick a couple of affirmations, write them down on sticky notes, and stick them in places you will see frequently. Read them out 10 times in the morning when you wake up and 10 times at the night before you sleep. Do the things that make you happy, and you will be happy! Replace your negative thought patterns with positive ones. For example, if you don’t like the way you look when you look in the mirror, make a conscious effort to replace that negative thought pattern with a positive one: Tell yourself you look beautiful. Similarly, stop making self-deprecating jokes.